Are you looking for the best parties in Rotterdam during New Year’s Eve 2018? The best accommodation and things to do? Continue reading! Do you want to celebrate New Year’s Eve in Rotterdam, The Netherlands? 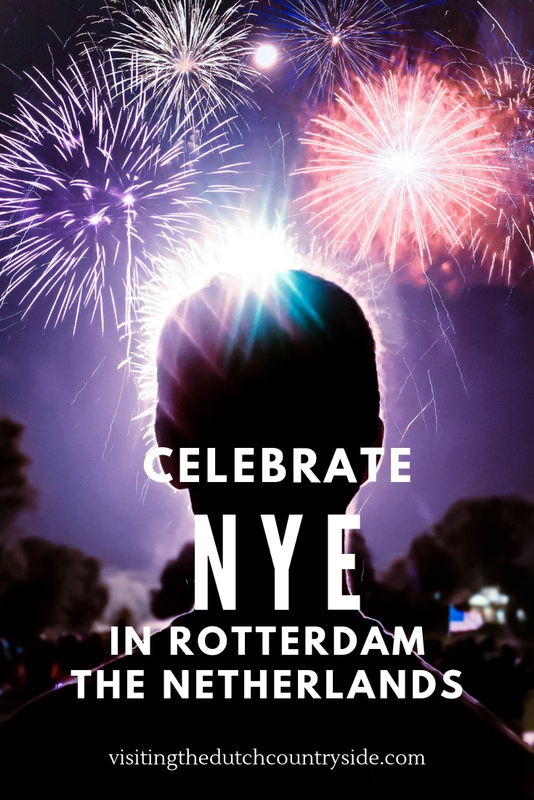 Here you will find the best things to do on NYE in Rotterdam. Rotterdam is one of the best cities of The Netherlands for celebrating New Year’s Eve. Rotterdam has it all. The national fireworks, great bars, amazing people and some of the best New Year’s Eve parties of The Netherlands. Keep in mind that you should buy a ticket in advance if you want to go to some of the parties I’ve listed below. Tickets are usually going fast. You need to be, at least, 18+. One of my most favourite things about celebrating New Year’s Eve in Rotterdam, The Netherlands, is that you won’t see that many foreigners just yet. If you want to experience a New Year’s Eve in The Netherlands, then Rotterdam is the perfect place for you. One thing you cannot miss when celebrating New Year’s Eve in Rotterdam is the National Firework Show from the Erasmus Bridge. 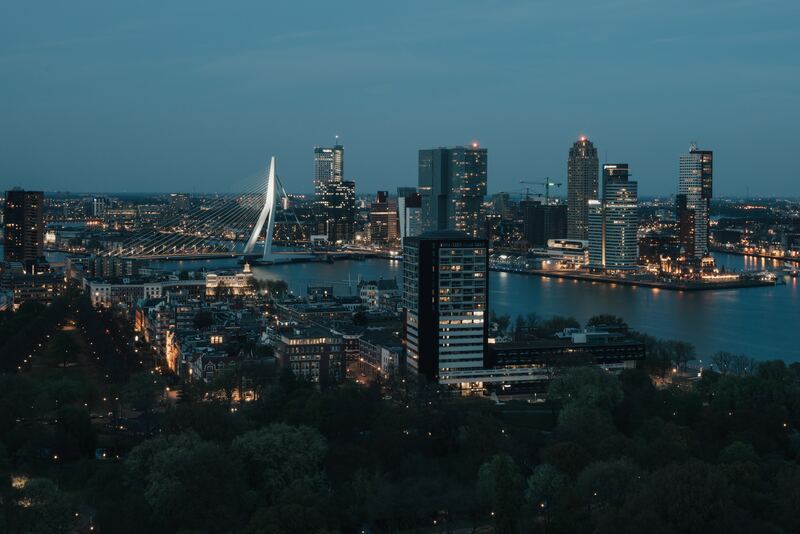 The incredible skyline of Rotterdam, thousands of people and one incredible Firework show that will have you leaving in awe. This firework show in Rotterdam is the biggest firework show of The Netherlands on New Year’s Eve. There are more than 4.000 kilos of fireworks that will be ignited. At the same time, fireworks are lit, you will hear music and can dance into the New Year with 50.000 other people. The countdown from 2018 to 2019 starts in Rotterdam at 23:00. The countdown and fireworks will be shown live on a few Dutch television networks. So be sure to don’t look too triggered by the champagne as around 2.5 million people watch the show. Wear a thick coat as the weather in The Netherlands at New Year’s Eve is never warm. More often windy and cold, than not. The Erasmus bridge will be closed on the 31st of December 2018 from 18:00 until the first of January 2019 01:30. De Willemsbrug is accessible. Best views of the National Fireworks in Rotterdam: Boompjeskade, Leuvehoofd, Wilhelminakade, Willemskade, Maaskade (Noordereiland) Rotterdam. Most nearby metro stations: Leuvehaven is CLOSED during NYE. Rotterdam Blaak is quite a bit further but also a little less crowded. Wilhelminaplein metro station is right next to the Erasmus bridge, so will be very busy. If you have the chance to come by bike, do it. Admission: Free, but it will be crowded. Time: 90 minutes before countdown there will be music played of the biggest hits of 2018. But it will be very crowded, so come whenever you want. RET metro lines C and E will ride for free between 22:00-23:45 and 00:15- 02:00. Every ten minutes a metro runs. After the fireworks, there are trains that run every hour, starting at 01:00. From Amsterdam: Take the intercity direct in the direction of Breda from Amsterdam Centraal. Make sure to add an extra fee to your ticket via the ticket machines for the train ride between Schiphol and Rotterdam. If you have an OV chip card, you can add the fee by keeping your card in front of the red poles on the platforms. Get out at Rotterdam Centraal. From Rotterdam Centraal Station, take the metro to either Wilhelminaplein or Rotterdam Blaak. From here it’s a 5-minute or 20-minute walk to the National Fireworks of Rotterdam. You can also take the intercity in the direction of Heerlen from Amsterdam Centraal. Get out at Utrecht Centraal. Take the intercity in the direction of Rotterdam Centraal. Get out at Rotterdam Centraal. From here take the metro to Wilhelminaplein or Rotterdam Blaak. From here it’s a 5-minute or 20- minute walk to the National Fireworks of Rotterdam. From here it’s a six-minute walk to the National Fireworks of Rotterdam. From Amsterdam to the National Fireworks of Rotterdam will take you around 1,5 hours. From Utrecht: Take the intercity in the direction of Rotterdam Centraal from Utrecht Centraal. Get out at Rotterdam Centraal. From here take the metro to Wilhelminaplein or Rotterdam Blaak. From here it’s a 5-minute or 20-minute walk to the National Fireworks of Rotterdam. From Utrecht to the National Fireworks of Rotterdam will take you around 50 minutes. The area of the Erasmus bridge is a fireworks-free zone. You are not allowed to bring and ignite your own fireworks in this area. Besides the fireworks ban around the Erasmusbrug (Erasmus bridge) there are more rules for fireworks. 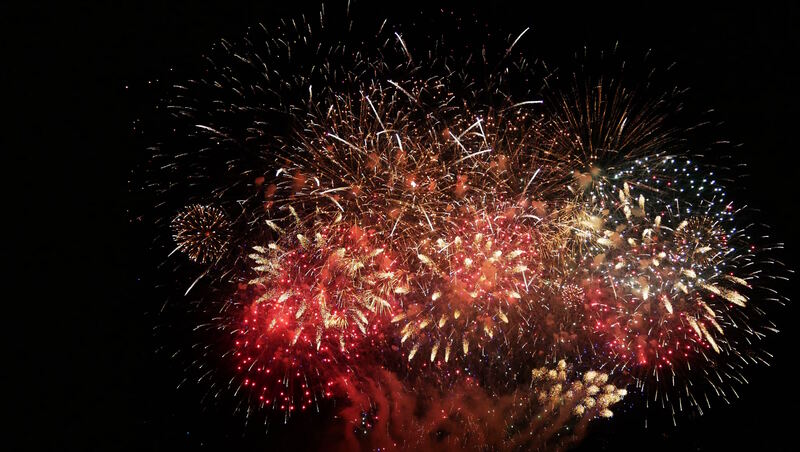 Igniting private fireworks is allowed on New Year’s Eve from 18:00- 02:00. It is prohibited to ignite fireworks on other days. It is also forbidden to light fireworks around the area around the Stadhuis (town hall of Rotterdam) including more places. The police are on high alert and offenders will be fined with at least 100 euros per person. Celebrating New Year’s Eve is nothing without a party. 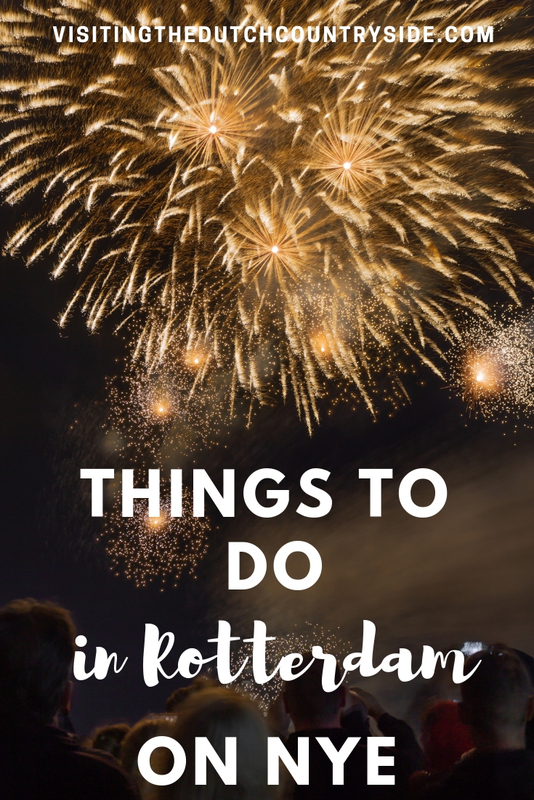 Here you will find the best things to do at night in Rotterdam, during NYE. This list will be constantly updated when I find New Year’s Eve parties in Rotterdam. Keep in mind that you should buy a ticket in advance if you want to go to some of the parties I’ve listed below. Tickets are usually going fast. You need to be, at least, 18+. This event is one of the biggest parties of NYE in Rotterdam. This year you will find a lot of Dutch hip-hop, trap house, electro and more. With artists such as Freddy Moreira, Ronnie Flex, Bizzey, DYNA, ChildsPlay and more you will be dancing within no time. TIKTAK also has events in Amsterdam, Breda, Eindhoven, and Utrecht. This makes TIKTAK the biggest New Year’s event in The Netherlands. Vunzige Deuntjes is another great New Year’s Eve party in Rotterdam. It will be held in club Now&Wow and will give you a new year’s celebration that you’ll remember for a long time. Artists are Dopebwoy, FS Green, Fano and more. Every year it’s sold out, so don’t wait too long! This New Years Eve of 2018/2019 in Rotterdam you can go partying your heart out at Meet me Backstage. This is a brand new concept in Rotterdam and worldwide. You will find some of the best dj’s who will be playing the longest sets. You definitely won’t get bored here. The WE ALL LOVE the 80’S 90’S 00’S NYE Cruise 2019 is one of the most special ways to celebrate the New Year in Rotterdam. You will dance to great DJ’s while drinking champagne and enjoying the view of the Maas river which flows through Rotterdam. The best part? You can watch the national fireworks in Rotterdam from one of the best places in the city on this boat. NYE cruise in Rotterdam. It cannot get better than this. You will find the best 80’S, 90’S and 00’S hits on this boat. So it doesn’t matter if you’re a Michael Jackson fan or from Justin Timberlake, there is something for everyone. Before and after the transition to 2019, you will sail over the Maas. There are oliebollen (a Dutch typical snack), there’s champagne, there are music and a spectacular view. What more can you ask for? Time: Boarding from 21:00- 22:00. The whole cruise and event last 7 hours. At 04:00 the party finishes. If you are able to spend some extra money, then celebrating New Year’s Eve 2018/2019 at the Euromast is a great idea. The Euromast is the highest building in The Netherlands with 185 meters. You’d have the most perfect view on the fireworks from up here. You have the chance to choose between dinner and drinks, only drinks or a complete stay at the Euromast. These are very pricey for budget travellers. But if you have the chance to splurge you should. After you celebrated New Year’s Eve in Rotterdam, it’s time for a refreshing start of the new year. So, it’s time for the typical Dutch tradition, called New Year’s dive. This means, running into a lake or into the North Sea. This is cold. Very cold, but if you want to know how Dutch people celebrate the 1st of January, then you should keep on reading. Besides, your hangover will soon be gone. The New Year’s dive in The Netherlands started back in 1965. A swimming club decided to make the most out of the 1st of January by running into the cold North Sea. It gained attention to a broader audience when a famous soup brand (UNOX) decided to sponsor it. Every year the number of participants and locations increases. At the little lake in Rotterdam-Nesselande, you can participate in the New Year’s dive with running into the lake from 14:00. Of course, the event starts with a warm-up and when the time is finally here, you run into the lake with hundreds of participants. Or visit the New Year’s Dive at Scheveningen beach. 10.000 people run into the cold North Sea every year and it cannot be more Dutch. Only 10.000 are allowed to join, so be on time for the registration. Even if you don’t want to run into the cold North Sea, watching this typical Dutch event is something you won’t forget. So Scheveningen New Year’s dive. Put it in your agenda. Reward: a UNOX hat and typical Dutch pea soup. Location: Scheveningen beach, near the Kurhaus. Most accommodations in Rotterdam are fully booked on New Year’s Eve, so be quick to book hotels, apartments or hostels. Here you will find the best places to stay in Rotterdam on any budget. Keep in mind that during NYE the prices for accommodation in any big city in The Netherlands increase massively. Cheap accommodation is very rarely found as even hostels will be pricey. Note: The links can be affiliate links. This means that I get a small percentage if you book something via my link. This doesn’t mean that you will pay more. This is not the case. For more information have a look at my disclaimer here. King Kong Hostel, click here to see the availability. Stayokay Rotterdam, click here to see the availability. Easyhotel Rotterdam City Centre, click here to see the availability. Cityhub Rotterdam, click here to see the availability. CitizenM Rotterdam, click here to see the availability. nHow Rotterdam, click here to see the availability. For more accommodation options and availability in Rotterdam click here. Visiting Rotterdam is always a great idea. And even more so when it’s New Year’s Eve in The Netherlands. Celebrating New Year’s Eve in Rotterdam will always be a special memory to you. The fireworks, the atmosphere and the parties. The New Year’s dive. A great experience is waiting for you in The Netherlands. I hope this article was useful for you. Share this post! !